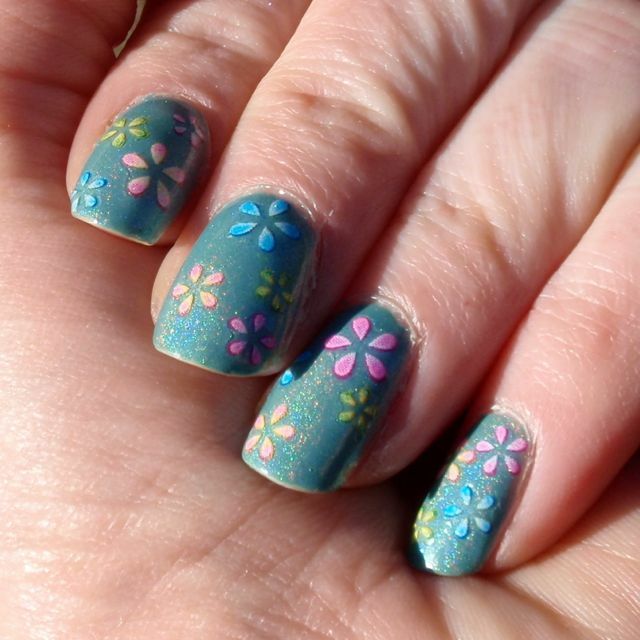 This week’s contribution to Holo Friday is a manicure by my friend and colleague Karin. 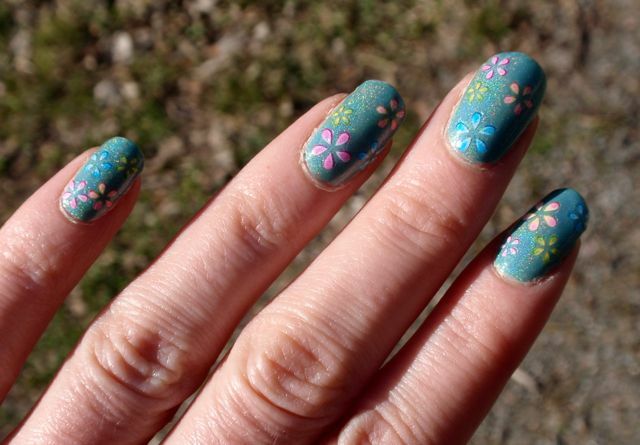 She had such a nice manicure the other day, so I handed her my camera and asked her to photograph it for my blog. 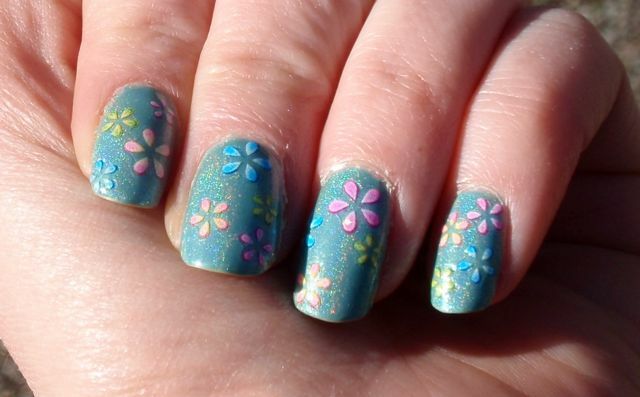 The polish is ILNP Music Box, a light blue holo with quite discreet rainbows. She wore three coats, nut she said that it might be enough with two. 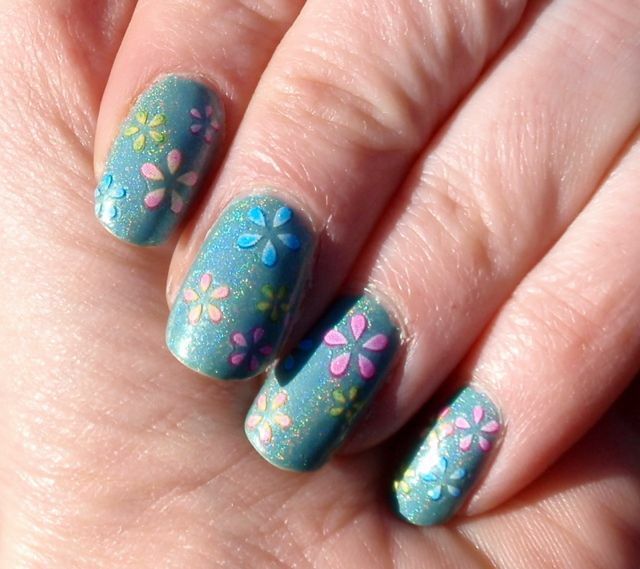 She had applied plenty av pretty stickers on it, and I think the result was a very nice, summery mani! 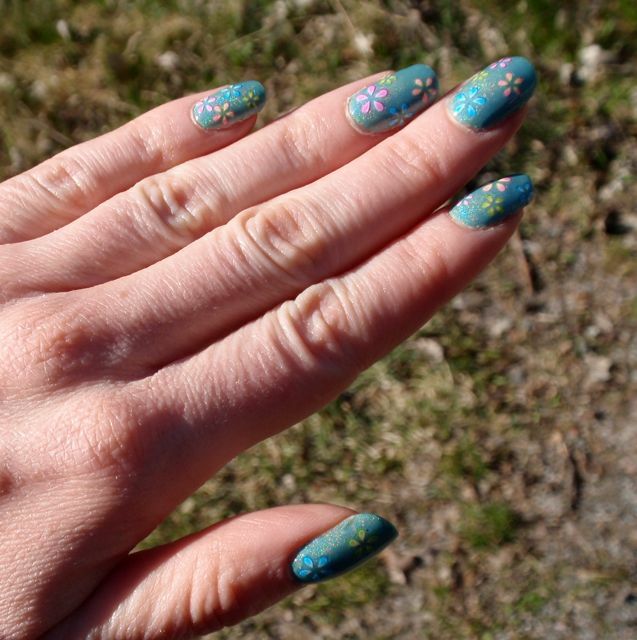 Publicerat på maj 2, 2014, i Dekaler, Holofredag, Holografiska/prismatiska lack, ILNP, Naglar i blått och märkt Blue, Decals, holo, Holo Friday, ILNP. Bokmärk permalänken. 4 kommentarer.